Air Marshal S Harpal Singh AVSM VM has assumed office of Director General (Inspection and Safety) on March 21, 2017. 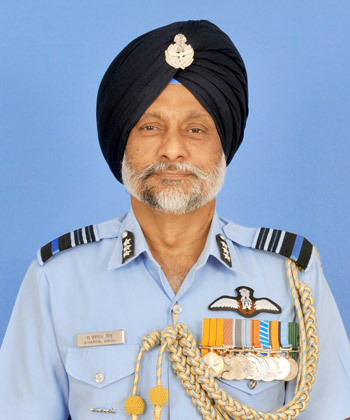 Air Marshal S Harpal Singh graduated with 56th course of National Defence Academy and was commissioned in the Fighter stream of Indian Air Force on June 15, 1980. 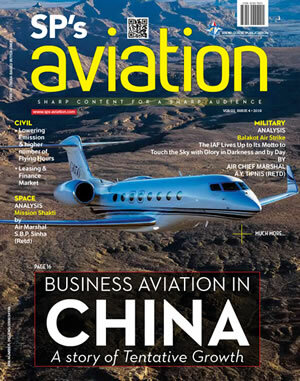 He has over 2400 hrs of flying on various aircrafts. The Air Officer has commanded a fighter squadron, was Chief Operations Officer of a major Fighter Base in the western sector, commanded a radar base and was Air Officer Commanding of a major Fighter Station in the Eastern sector. 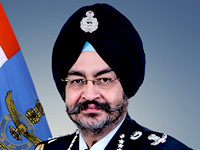 He has served in various staff appointments at Air Headquarters, Tri Services Organisations and was the Senior Air Staff Officer of South Western Air Command prior to assuming the present assignment. He is a Fighter Combat Leader, a graduate of Defence Services Staff College, and has undergone the General Course for Senior Officers at National Institute of Defence Studies, Japan. For his distinguished services of an exceptionally high order he was awarded ‘Ati Vashist Seva Medal’ and ‘Vayu Sena Medal’.